Home blood pressure monitoring (HBPM) refers to the practice of asking patients to measure their own blood pressures at home, either to detect whether hypertension is present or to assist in managing hypertension after it is diagnosed. HBPM has become feasible during the past few years, now that relatively inexpensive ($40 - $50), easy-to-use, electronic blood pressure devices are readily available, and their accuracy is generally quite good. Blood pressure measurements made in the doctor’s office often turn out to be far less helpful than previously believed. Perhaps because of the patient’s stress at being in the doctor’s office, or (more likely) because of the harried environment found in many doctors’ offices today, it is often difficult for patients to achieve the state of “quiet rest” that is necessary for accurate blood pressure measurement. Consequently, the blood pressure values obtained in the office are too often “falsely” elevated. The risk is that Stage I hypertension may be diagnosed when it is actually not present. Read about the diagnosis of hypertension. This fact is now recognized by many experts, and accordingly, in December 2014, the United States Preventive Services Task Force (USPSTF) issued new draft recommendations on the diagnosis of hypertension, urging doctors not to routinely rely solely on office measurements to make the diagnosis. Instead, says the USPSTF, doctors should usually employ ambulatory blood pressure monitoring (ABPM) to confirm the diagnosis before committing a patient to lifelong antihypertensive therapy. Read about the shortcomings of in-office blood pressure measurement. ABPM records numerous blood pressures measurements throughout a 24 (or 48) hour period. With ABPM, it is the average blood pressure over the course of an entire day that is important. This average blood pressure value is used to determine whether hypertension is present. ABPM takes into account the fact that blood pressure normally fluctuates considerably. ABPM has proven to be an effective tool to detect the presence or absence of hypertension, more accurately than can generally be done in the doctors’ office. However, ABPM is relatively cumbersome and expensive to use, and, more importantly, ABPM has never become a routine part of most doctors’ practices. There is likely to be significant reluctance - if not outright resistance - on the part of doctors and payers to the widespread adoption of ABPM. Home blood pressure monitoring, practically speaking, cannot give as many blood pressure measurements over a 24 hour period as ABPM. But it can give several measurements per day - and those measurements can be continued for several days, or even for several weeks. So, like ABPM, HBPM allows for the measurement of an “average” blood pressure over a long period of time. While HBPM has not been evaluated in clinical studies as rigorously as has ABPM, studies have shown that the blood pressure values obtained with HBPM correlate quite well with values obtained with ABPM - and are more accurate than blood pressure measurements made in the doctor’s office. So, while HBPM is not a formal part of the USPSTF’s recommendations, the USPSTF does strongly hint that HBPM may be a reasonable substitute for ABPM - better, in any case, than measuring blood pressure in the doctor’s office. To obtain an average blood pressure measurement with HBPM, it is generally recommended that the patient (while sitting quietly) should take two blood pressure measurements one or two minutes apart, both in the morning and in the evening, for a total of 4 blood pressure measurements per day. This should be done for three to seven consecutive days. The four measurements obtained on the first day are tossed out (to allow for a learning curve, and for possible first-day jitters), and all the rest of the blood pressure measurements are then averaged together. The result is a measurement of the average blood pressure. How Is the HBPM Average Blood Pressure Interpreted? Hypertension is usually diagnosed if the average blood pressure obtained with HBPM is greater than 135 mm Hg systolic, or greater than 80 mm Hg diastolic. Read about systolic and diastolic blood pressures. How Else Is HBPM Being Used? HBPM can also be quite useful in patients who have already been diagnosed with hypertension. Periodically following the blood pressure with HBPM, by performing another average blood pressure measurement every few months, is an excellent way to assess the adequacy of antihypertensive therapy. Studies have shown that hypertensive patients who use HBPM to monitor their therapy tend to achieve significantly better blood pressure control than patients followed only with “usual” (that is, in-office) blood pressure monitoring. HBPM is not at all difficult for most people. With currently available semi-automatic home blood pressure devices, almost anyone can be easily taught to perform HBPM. 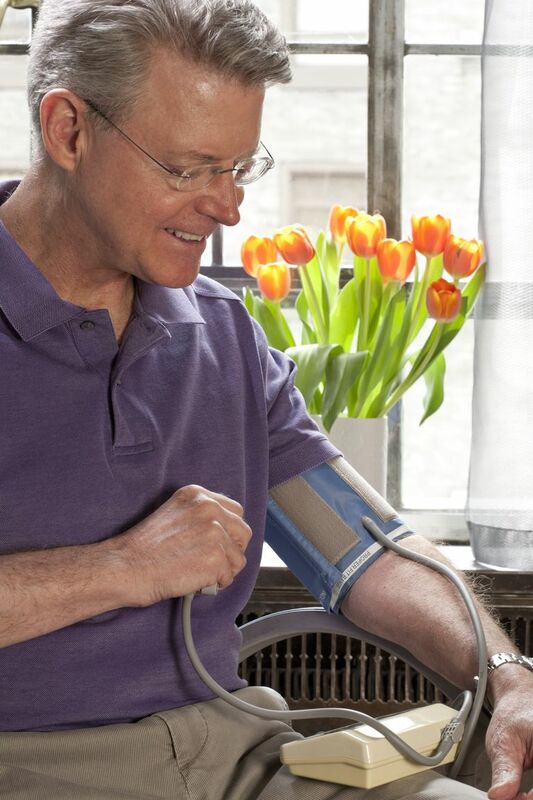 Given the growing recognition that in-office blood pressure measurements can be problematic, and given the cumbersome nature and expense of ABPM as a supplement to in-office measurements, it seems likely that in the near future many doctors and patients will be adopting HBPM as a preferred method of confirming the diagnosis of hypertension, and to help with the management of hypertension. If you have hypertension, or if your doctor thinks you may have it, HBPM is be something you may want to discuss with him or her. Verberk WJ, Kroon AA, Kessels AG, de Leeuw PW. Home blood pressure measurement: a systematic review. J Am Coll Cardiol 2005; 46:743. Asayama K, Ohkubo T, Kikuya M, et al. Prediction of stroke by self-measurement of blood pressure at home versus casual screening blood pressure measurement in relation to the Joint National Committee 7 classification: the Ohasama study. Stroke 2004; 35:2356. Niiranen TJ, Hänninen MR, Johansson J, et al. Home-measured blood pressure is a stronger predictor of cardiovascular risk than office blood pressure: the Finn-Home study. Hypertension 2010; 55:1346.